Acknowledging, recording, retelling, and addressing African American graduate students’ experiences is important to their success in higher education. One of the key elements to student success is mentorship. From preschool to college, Black students demonstrate positive academic outcomes in environments where they are supported by healthy mentoring villages. Since 2001, AAMP has supported the needs of 300 undergraduate and graduate students of African descent throughout SDSU and at our sister AAMP program at California State University Long Beach (CSULB Founding Faculty Directors: Dr. Beverly Booker Ammah and Dr. Brandon Gamble). SDSU students, faculty, and community members gathered together for a Black Lives Matter panel discussion. 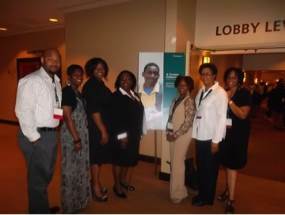 The event was sponsored by the African American Mentoring Program (AAMP). 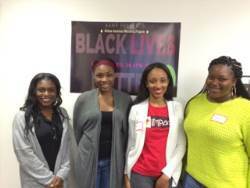 The founder of AAMP, Dr. Tonika Green, invited four panelists to address questions related to promoting education, identity development, health, and finances. The expert panelists included, Dr. Adisa Alkebulan, Associate Professor of the Africana Studies at SDSU, Dr. Darlene Willis, CEO and President of Empowering Parents and the Chief Executive Officer of Concerned Parents Alliance, Freda Davis-Johnson a Registered Nurse and Project Director for California Newborn Screening, and Robert McClinton, CEO of McClinton & Associates, an independently owned office of Primerica. 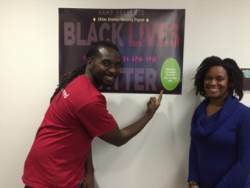 The moderator, Lisa Covington, conducts Black Girls Matter research. 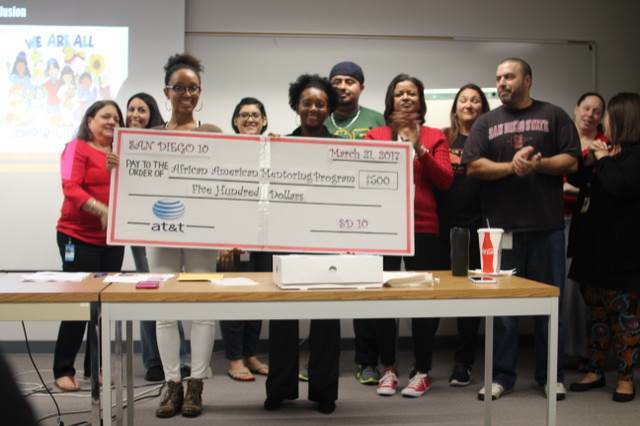 The goal of the African/American Mentoring Program (AAMP) is to recruit, retain, and sustain students of African descent in graduate level programs at San Diego State University. AAMP is devoted to ensuring that the educational experiences of students from multiethnic and diverse African-descended backgrounds are supported, mentored, and fostered. AAMP seeks to enhance students’ professional growth, self-awareness, self-confidence, cultural responsiveness and historical presence. Moreover, AAMP is committed to being a source for connecting students with community resources, faculty mentors, and peers that identify and can relate to their experiences in higher education. 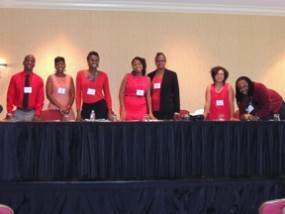 Three AAMP Mentors and Seven AAMP Students traveled to New Orleans to present at the Association of Black Psychologists Convention (ABPsi). This annual international convention is the only one of its kind, with a focus on African-Centered Psychology. AAMP students and mentors presented on the effectiveness of the AAMP program from a mental, emotional, spiritual, and psychological perspective. The presentation was a success!